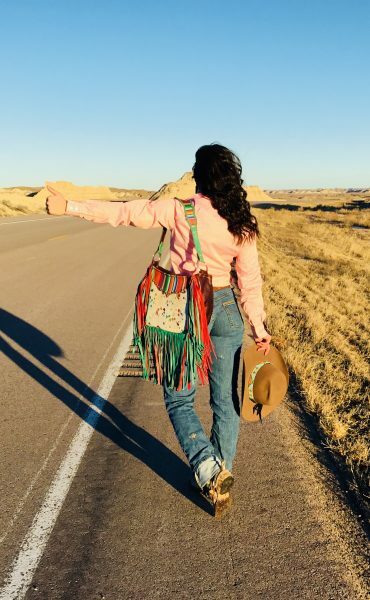 Handbags have always been an object of affection within fashion, and Lacey Swayne’s handmade handbags have become sought after in the western fashion world. She grew up in small town Gordon, Nebraska, where she still lives and works as an Ag Loan Officer at First National Bank. After graduating from Chadron State College, she purchased her first leather tools and started honing her skill. Lacey made her first purse completely by hand eight years ago, which took an entire month. Since then, her production was made more streamlined with the addition of a leather sewing machine. She takes custom bag orders through her Facebook page Wild Lace Beadwork and Leatherwork and sells her in-stock purses on her website www.wildlacebeadwork.com. The beading developed in between checking cows with her dad while night calving five years ago. She has made beaded belts for Miss Rodeo Americas 2017 and 2018, respectively, as well as Miss Rodeo Indiana 2016 and Miss Rodeo Louisiana 2017. 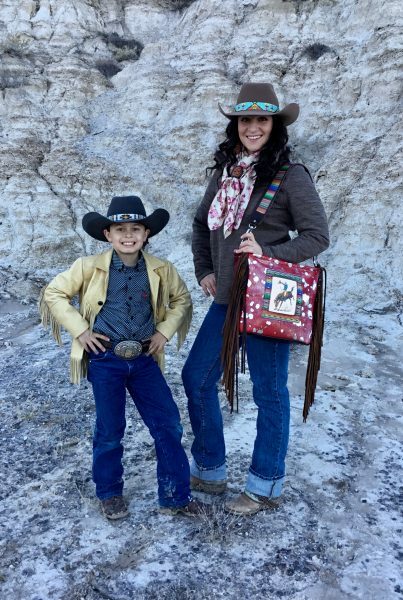 Fallon Taylor, the 2014 World Champion Barrel Racer, has also been one of her customers, and she has created beaded wallets as awards for the First Frontier Circuit Finals. 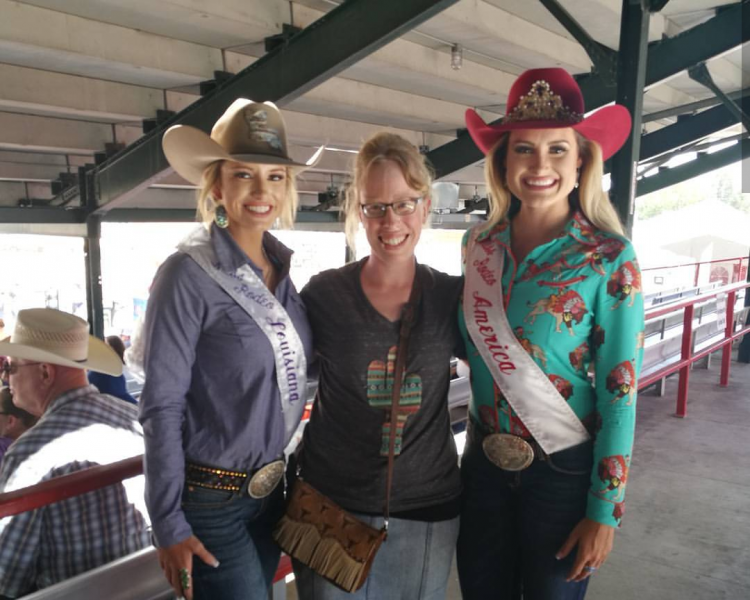 Lacey Swayne with Miss Rodeo Louisiana 2017 McKenna Greene, and Miss Rodeo America 2017 Lisa Lageschaer at Cheyenne Frontier Days. Lacey offers eight purse styles and works with her suppliers to develop her own leather styles. “Most of my leather comes from Italy, most of my bags feature fringe, and a lot of my custom purses feature a custom family brand,” she said. Her most-used leather pattern contains feathers, and the most popular color is turquoise. Beaded hatbands have been at the forefront of her focus lately, as well as her high quality Italian Embossed leather purses and wallets. She is in the process of remodeling her basement to accommodate her growing business, so she can move it from her laundry, guest, dining, and living rooms. Her mom has joined the business to help Lacey keep up with the demand from her repeat and new customers.